In November 2016 the group decided to investigate installing solar panels for a not for profit group in the area. 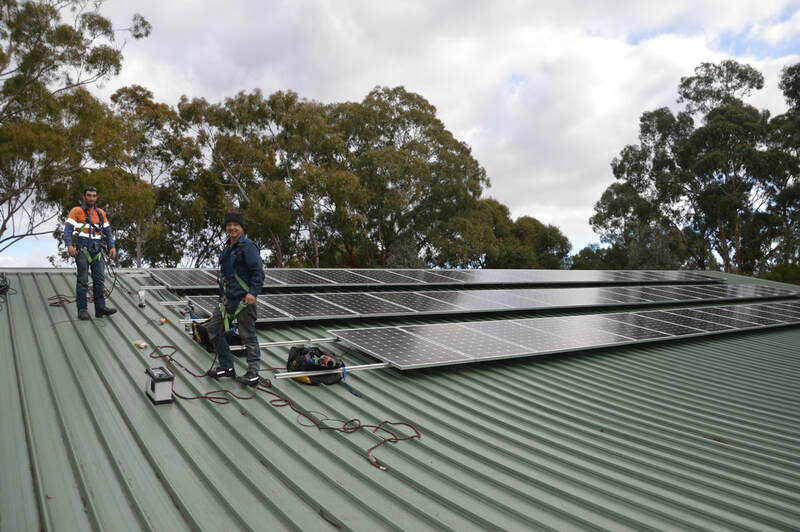 The idea was to buy 3 Kw of panels using $3,500 of the group's funds and the organisation would pay back the interest free loan over 6 years out of savings they achieved. The Araluen Centre in Lower Plenty was considered a possible site. On approaching them, we found they had an enormous north facing roof and an enormous Energy usage! After analysing their electricity usage, we found that 25 kw of panels could be installed. 75% of the power generated would be used by Araluen, giving a 5 year payback. However the $29,000 cost exceeded our finances. We sought donations of $250 from members of the community and within 3 weeks we had offers totaling $10,000. We approached the Power Shop Community Fund and they generously offered $10,000. Several suppliers were approached and TCK Solar were selected to supply the panels, costing $29,000. Final funding was an interest free loan from MCG for $13,000, a donation from PowerShop for $10,00 and $6,000 from Araluen. In June 2017 the panels were installed and became operational in August 2017. They have been working brilliantly ever since!